Introducing The Paleo Thyroid Solution! Order Today and Receive Five Free Bonuses! I couldn’t be more pleased to announce Primal Blueprint Publishing’s newest release, The Paleo Thyroid Solution, by our own Primal Blueprint Podcast host, Elle Russ. This groundbreaking book targets the largest demographic out there–every human being! Every human being has a thyroid gland (unless it was surgically removed) and every human being’s fat-burning metabolism is heavily influenced by this tiny, often overlooked piece of biological machinery. 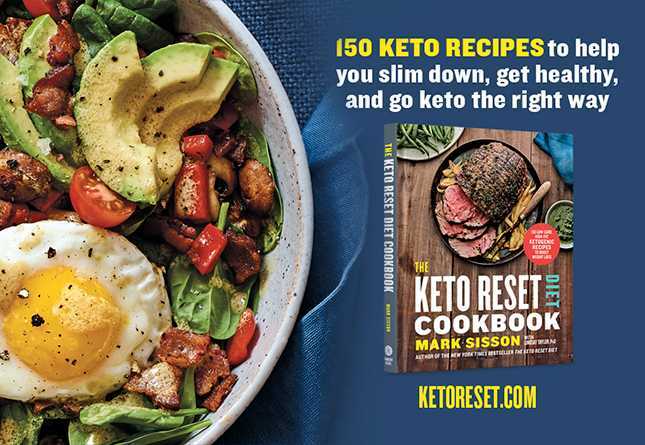 While there are many thyroid books floating in the ether, this is the first book connecting primal/paleo/ancestral health principles with optimal thyroid hormone function and metabolism. When Elle joined the Primal Blueprint family in 2012, she had already solved a second bout of hypothyroidism in a decade through the use of thyroid hormone replacement. But she struggled to lose the excess fat and weight gained during her illness (no matter how hard she exercised and cut calories). 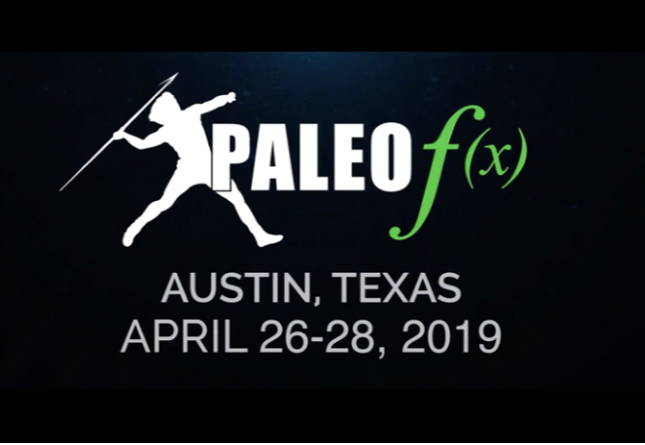 But after adopting a primal/paleo lifestyle, she not only experienced success with fat loss, but discovered a myriad of revolutionary connections between thyroid health and the principles behind living an evolutionarily-aligned lifestyle. Just after Elle pitched me her idea for a thyroid book, a few of our employees and a couple of my family members experienced thyroid issues–and Elle came to the rescue on all fronts. I myself, for example, was told by a doctor that based on one of my thyroid test results (the TSH test) that I should be concerned about my thyroid, even though I have never exhibited a symptom of thyroid dysfunction in my 63 years of life. After sharing this with Elle and having her evaluate my blood work, she explained that the doctor who was concerned about my thyroid was probably basing his suspicions on a 1973 outdated blood test no longer used by informed doctors to diagnose and treat thyroid issues. I knew something was amiss here, and I wanted to delve further into this topic. I knew Elle was onto something special, and her passion for this project was undeniable. 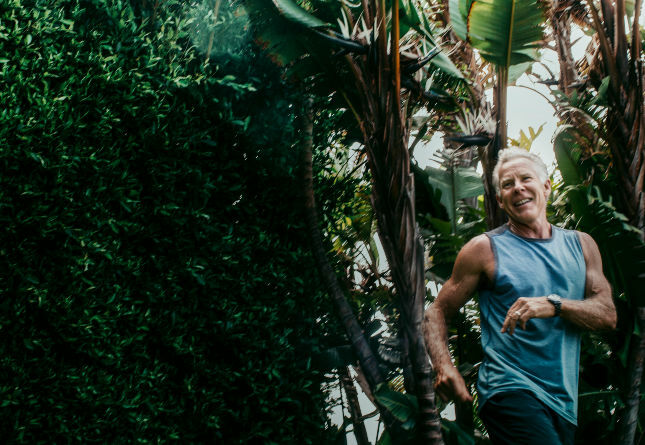 After all, I was once a victim of outdated, misguided, conventional wisdom regarding diet and exercise (we all were) until I discovered the truth and was able to spread the word via The Primal Blueprint. In the same vein, outdated and misguided conventional thyroid wisdom is still rampant, which can keep patients hypothyroid, fat, and in a state of disease that can ultimately lead to more health issues. Undiagnosed or mistreated hypothyroidism can put people at risk for serious conditions, such as depression, high blood pressure, high cholesterol, type 2 diabetes, insulin resistance, cardiovascular disease, osteoporosis, gynecological issues (infertility/miscarriages/fibroids/PCOS, etc. ), hormonal imbalances, adrenal fatigue, anemia, and more. The Paleo Thyroid Solution not only details Elle’s personal journey with successfully treating two bouts of thyroid dysfunction on her own, but also features the success stories of others (including before and after photos). While most thyroid books give a rudimentary, undetailed look at thyroid health, The Paleo Thyroid Solution offers an incredibly comprehensive, in-depth look at a health problem affecting 200 million people worldwide, and over 20 million people in the United States. 60% of cases go undiagnosed and many cases are mismanaged, which leaves patients in a hypothyroid, symptomatic state despite the administration of thyroid hormone replacement. The Paleo Thyroid Solution includes before and after blood work examples, detailed suggestions on thyroid hormone dosing, an enlightening Q&A with Primal Doctor and integrative physician, Gary E. Foresman, MD…and much more! This book is a must-have for everyone seeking to optimize their fat-burning metabolism and for those who are struggling with thyroid dysfunction wanting to correct it once and for all! I am thrilled to have this impeccably written, beautifully designed, information dense book in my hands. I never once doubted Elle’s conviction for this endeavor and I’m thrilled to share it with you all today. As no surprise to me, The Paleo Thyroid Solution is already seeing rave reviews from VIPs that received early release copies, and many patients have already benefitted from Elle’s guidance and coaching. So, when you grab a copy of this book, what can you expect? Finally, per Mark’s Daily Apple tradition, I’ve put together an exciting limited-time offer for this book release. You can use this $10 gift certificate to purchase any non-digital item at PrimalBlueprint.com when you spend $50 or more. Might I suggest Primal Probiotics, Primal Omegas, or Primal Sun—all incredibly important for thyroid health? This $10 gift certificate essentially covers the majority of the cost of the book! It’s one thing to read the book, but it’s another to get personal, real-time access to the expert herself! Want to go beyond the pages of The Paleo Thyroid Solution and receive a chance to have your personal thyroid questions answered by an authority? 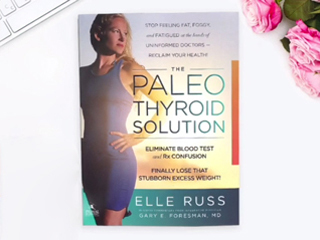 Purchase your copy of The Paleo Thyroid Solution by September 14th and gain exclusive access to a live online Q&A with Elle Russ. 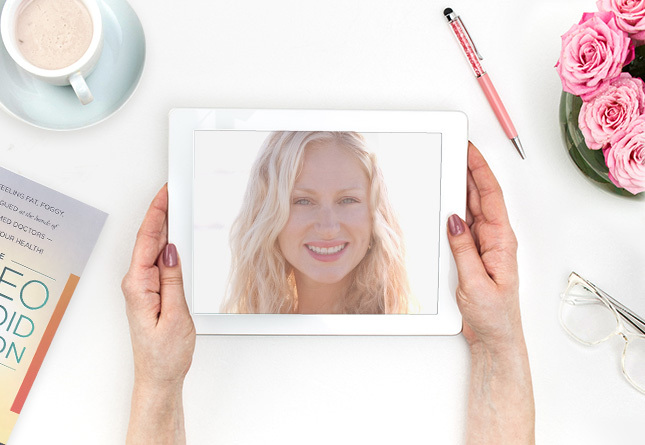 You’ll get digital downloads of The Primal Blueprint Quick & Easy Meals, The Primal Blueprint 90-Day Journal, and The Primal Blueprint Definitive Guide to Sun Exposure and Vitamin D Health. How’s that for a bonus bundle? Five great bonus items, all for free when you grab a copy of The Paleo Thyroid Solution by September 14th. Just submit your purchase receipt using this form and we’ll email you all of the freebies in no time. Don’t miss out! But really, if you or anyone you know is suffering from thyroid dysfunction, you’ll want to grab your copy ASAP. There’s no reason people should be suffering from misinformation any longer. It’s time to change lives. This special bonus offer ends at 11:59 pm, Sept. 14, 2016 (PDT). All receipts must be received by 11:59 pm, Sept. 15, 2016 (PDT). The forms will stop working on Sept. 16, so be sure to fill out the form and submit your pre-Sept. 15 receipt(s) by then. You will receive access to the webinar details, the 3 free eBooks, and your PrimalBlueprint.com gift certificate via email within 24 hours of submitting your receipt. Pre-orders will be honored for all bonus offers. Both orders placed online (from any source) and in brick and mortar retail locations will be honored. Both domestic (U.S.) and international orders are eligible for the bonuses. Eligible book formats include physical books and digital versions (e.g. Kindle). The PrimalBlueprint.com gift certificate expires on October 12, 2016, and is valid for a single use on orders valued at $10.01 or more (coupon does not apply to digital products). I have the book and plan to dive into it this weekend, so I’ll be sure to report back. Reading Elle’s success story a few weeks ago was very inspirational. I paged through the book a little bit yesterday and it looks great…looking forward to reading it over the weekend! I don’t have any thyroid issues but know women that do and this book will be a great resource. I preordered the book on amazon but haven’t received it yet. My husband suffers from poorly treated thyroid issues and am hoping to help him find answers. Thanks Elizabeth, hope you enjoy! I already pre-ordered on Amazon and received it a week or so ago. I didn’t know how MUCH I didn’t know! Appointment with my endocrinologist is forthcoming. This book is long overdue. I’m into my fourth year on meds and nothing has moved. Primal so far has not helped, either, so it will be interesting to see what tweaks Elle has used to make this work for her. Thanks Trish! REVERSE T3 issues are totally solvable…keep on pushing’ on! I already have my copy. SO. FREAKING. GOOD!! Thank you so much for this book, Elle. Thank you so much Alice!!! I bought a copy for my wife on Kindle and she loves it. I’m so glad someone from Primal finally came out with a thyroid book. Much needed. I’m getting my copy today. 🙂 I’ve have slightly out of range thyroid results in the past, but doctors have told me it’s nothing to worry about, even though I’ve had symptoms. I’m excited to see if there’s something I can do to help!! There’s more than “something” to help, there are lots of things :-)!…. you will find the answers in my book. You’ve probably been dealing with uninformed doctors :-(. Hang in there – this stuff is all fixable! Love Elle on the Primal Blueprint Podcast!!! She’s so smart/knowledgeable. I’ve been wanting to read this book ever since I read her success story and saw the book was coming out. Thank you so much for the lovely compliment Tiffany! So interesting. The reverse T3 issue is fascinating and I bet it’s a huge cause of people going under-diagnosed/misdiagnosed when it comes to thyroid issues. Hope this book starts to set the record straight! Alex, TONS OF PEOPLE go undiagnosed for Reverse T3 because very few doctors know how to test for it, evaluate the results, and treat it. It is an ever-increasing problem for people on thyroid meds, and for people who do not take thyroid meds. I look forward to your thoughts when you are done reading! Enjoy! Don’t know if anyone’s mentioned this yet, but the RSS feed isn’t working. This is great! I read Elle’s story here on MDA. At the last check by a holistic MD, my thyroid function was fine, but sometimes I wonder. Because I’m passionate about all things health related, I’m definitely buying this book. I have a good friend who suffers from thyroid problems, and she’s having trouble finding a practitioner. I appreciate Elle’s passion and thorough research. Thanks Laura! I am definitely passionate about this topic:-). There are tools in my book…you can compare and evaluate your blood work with lab examples in the book if you think your doctor is missing something. There are also many other variables like ferritin levels, candida and other factors that can mimic hypothyroid symptoms. So Stoked on this! My mother has been battling her under active thyroid for little over a year now. She has seen 2 separate doctors, been prescribed numerous medications and pretty much ran through the wringer to little or no avail. I’m ordering this now and hopefully we can finally get her the proper care she needs! Thank you, Elle! I’m unable to see the kindle edition of the book on the amazon site ? Dificult to get it in aus with the lengthy shipping time. Any ideas. Would buy as soon as I see it. Elle, I had an eating disorder for many years previously. My integrative physician and I have been working together to try to get my thyroid levels back up to a normal range, but they are pretty low. We have determined (based on his experience with anorexic patients in the past) that an eating disorder can sever the ideal connection between the brain and the Thyroid. Have you had any experience with this? Thanks!! Can’t seem to purchase to Kindle in Australia, any advice on when it will be available? I don’t have a thyroid gland anymore. Seem to be doing very well taking Synthroid. Is there anything in this book for me? Wanted to buy it as kindle but it only shows the paperback version. I’m in Canada. I would have bought the paperback also but it says ships in 1-2 months. I would buy the book now, however there is no option for a kindle download and I live in Australia! Any tips on this. It does say Kindle or paperback on the blog??? Yep. I’m having the same drama, Lisa. Hi from Queensland ?? Hi Donna, No, I live just north of Sydney, but would love this book in Kindle form!! Hope you are well up North! Yep, Kindle format would be my choice too. Hi, Lisa! So sorry for the delay. The book should be up on Amazon for folks outside of the US soon. If you grab a copy once the book becomes available, you can still submit your receipt to claim the free bonus items (even after September 14th). I’m trying to purchase your book but I’m having trouble. I can find it on Amazon.com but when I log into my account so I can pay for it I’m transferred to Amazon.com.au as I’m in Australia. That site tells me your book doesn’t exist…? I just purchased your book at Amazon. I am so impressed with your story especially doing battle with ill-informed/miss-informed doctors. I was diagnosed with Hashimoto’s disease when I was 53. At that time I was 5’3″ and weighed 185 lbs. I asked if I could try Natural thyroid but the Endocrinologist refused and started me on Synthyroid. Since I didn’t feel any difference on the medication and I still had symptoms (panic attacks were the worst) I decided not see this Endocrinologist and discontinued the medication within 1 year. I am 69 now and have been on a Primal/Paleo diet/lifestyle for 3 years. Now I weigh 148 lbs and wear a size 12 with waist to hip ratio of 0.76. This is remarkable because having hypothyroid Hashimoto’s disease for so many years (maybe 25 yrs), I was never able to go below 165 and I always wore size 14. I owe it all to Primal/Paleo lifestyle. My hypothyroid symptoms have improved too. But, I am still not symptom free. Presently, I have been feeling more fatigued and anxious than usual. My current doctor states that my thyroid lab tests are “Normal”. Doctor ordered these thyroid tests: Free T4 & TSH. Luckily I work for clinical lab that runs Total T3. So I ran the test on my blood as a “QC” sample. Results: Total T3 0.61 (1.3-2.6 ng/mL)! Fed up I found an integrative MD who supports primal/paleo/ketogenic lifestyle and he is willing to prescribe Natural thyroid if I need it. Before our first visit I will have these tests: TT3, T3 Free, rT3, Anti-TPO, Anti-TBG, and more. I am more optimistic and hopeful. Wish me luck and thanks so much for sharing. Is there any information in the book about adrenal fatigue? I seem to have both adrenal and hypothyroid issues, and what information I have found has indicated that the adrenal issue needs to be addressed first. This book is great for anyone who is actually needing or already on medication for Thyroid problems. Those of us with maybe boarder line issues, this book is just a repeat of what you can already find on this blog and in The Primal Blueprint and Primal Endurance. I actually had a really hard time reading this book. Its all solid info, but being a long time Primal Blueprint reader, this book was dry and there was a massive abundance of T3 supplementation information and then a repeat of everything you can find here on the blog. IF you need mediation and are looking for guidance this is your book. If you think you might have a sluggish Thyroid just read the Primal Blueprint and this blog and you will be guided just fine. My wife had her thyroid removed a few years ago. She has struggled to find the right medication level. Does your book address this and offer recommendations for those who no longer have a thyroid? Thank you! I’m new to Primal, but not to thyroid issues. But i’m confused now about whether thyroid trumps insulin or if it’s the other way around. Thanks for your reply.